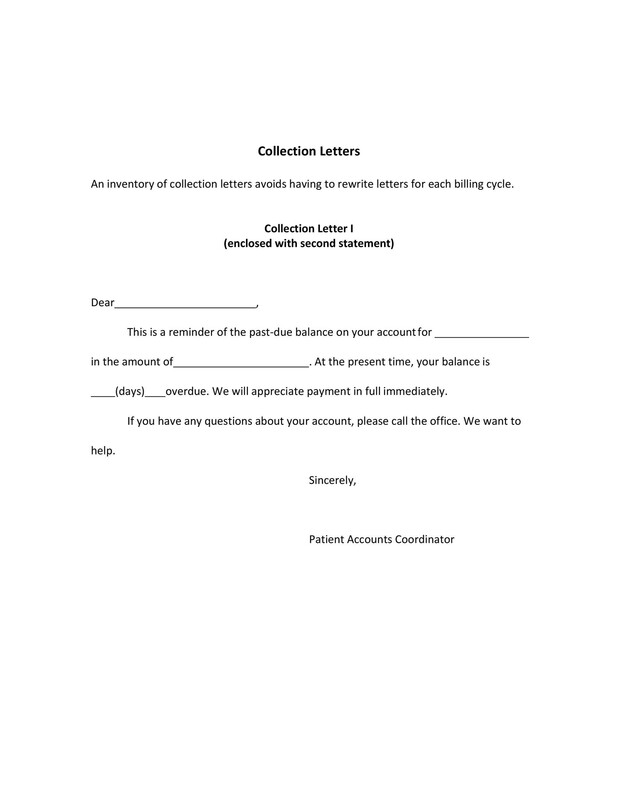 When composing a collection letter template, you need to follow several steps. 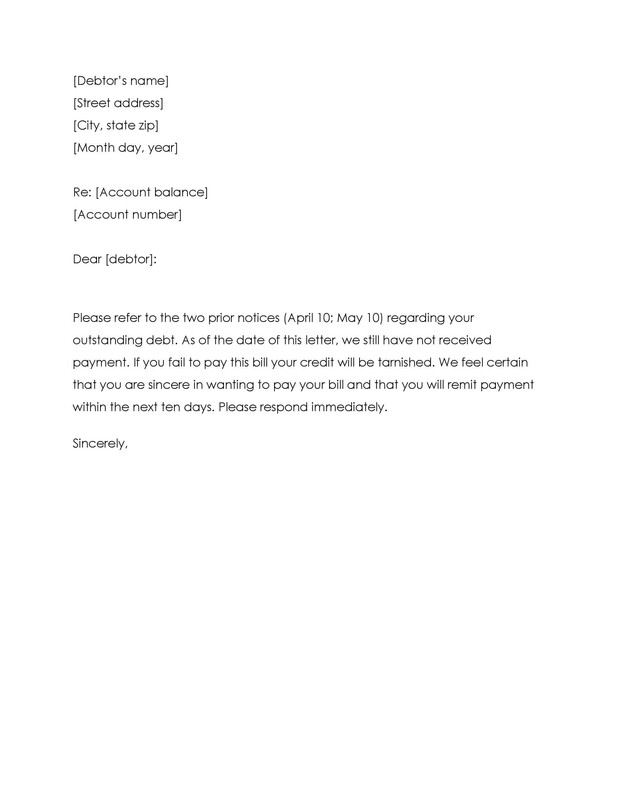 Also, it’s important to include appropriate language to provide your customers with a formal notice that they owe a debt. 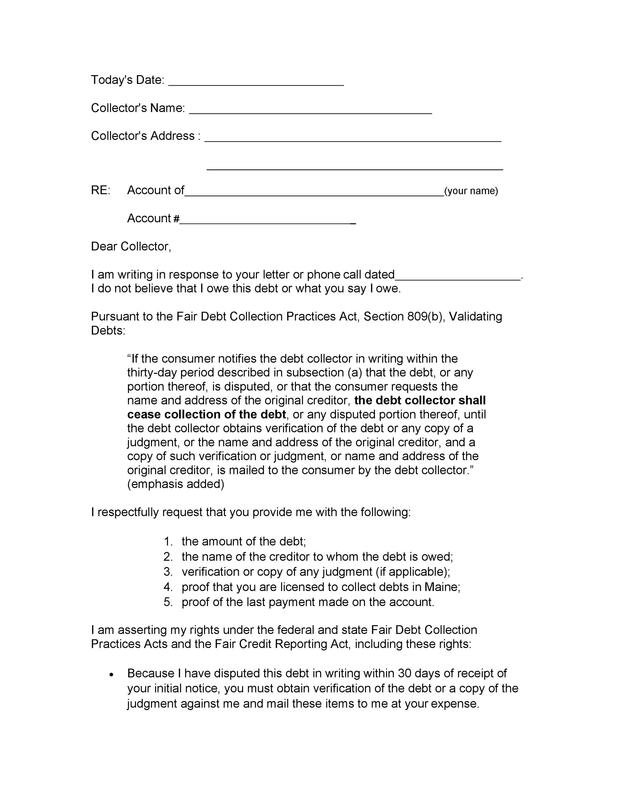 Typically, you would have to send more than a single debt collection letter before you need to seek help from a professional collection agency. 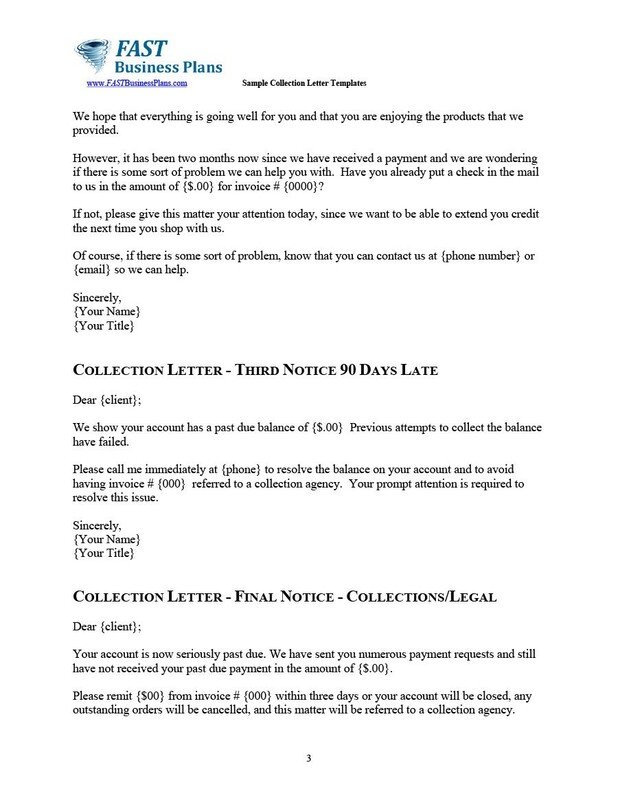 There are four different types of collection letter templates sent to customers. 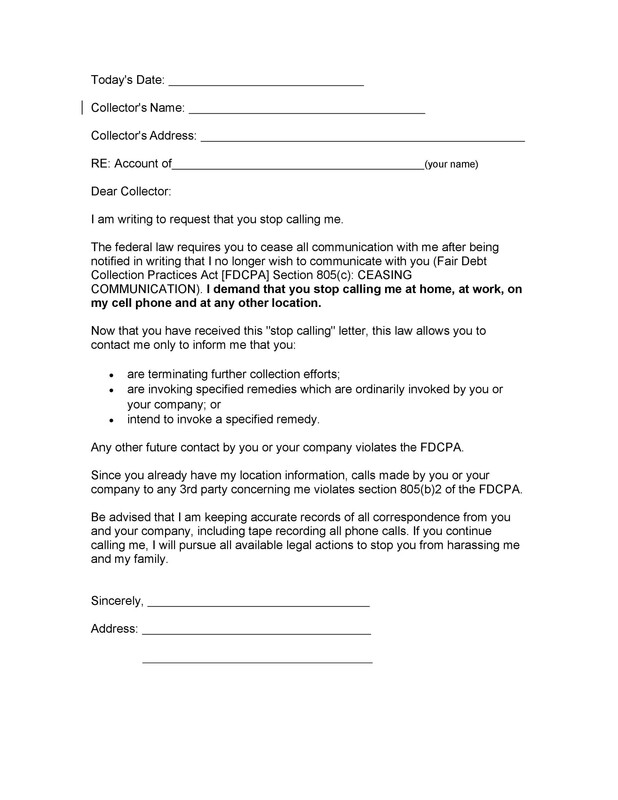 If you’ve tried calling a customer or sending collection letter samples and he responds to you, there’s no need for you to send the other types of letters. That is unless the customer doesn’t meet the payment deadline. The first two letters have a lighter nature while the last two letters are usually more assertive. 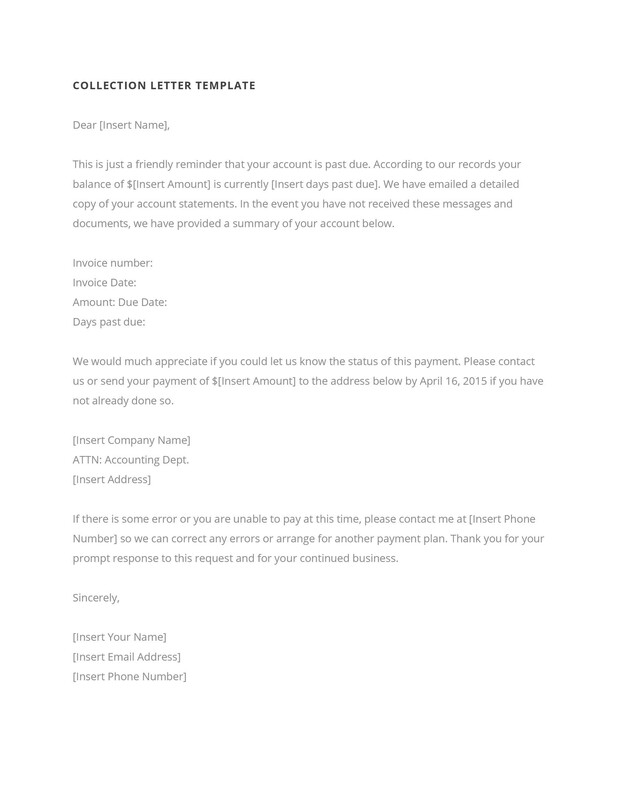 You should only send this first past due letter template after you’ve tried emailing or calling the customer already. 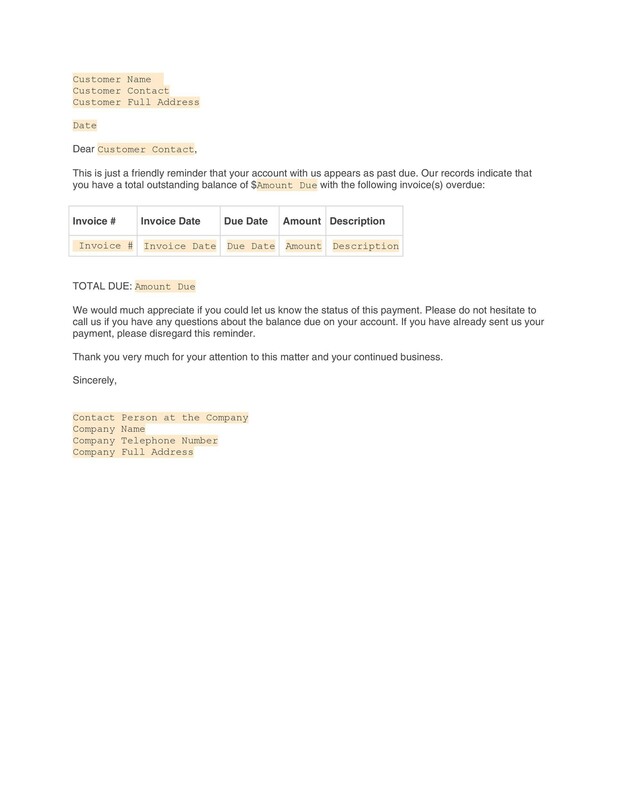 You may even use special accounting software which automatically sends email reminders to customers. But after your first attempts at reaching your customers and they don’t reply or make the payments, it’s time to send this first letter. 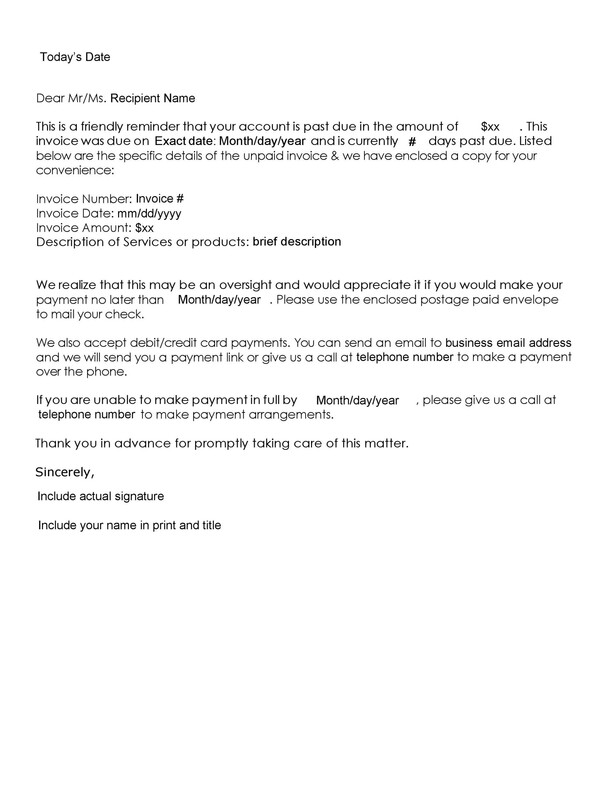 Generally, you should send this letter at least 14 days after the due date of the invoice. To make it more official, print the letter on your company’s letterhead which includes your business mailing address and logo. 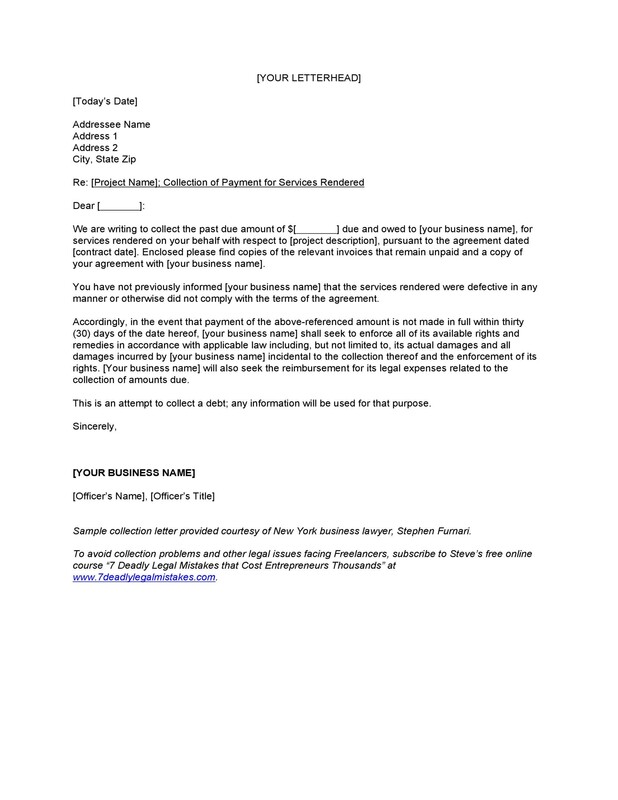 Before sending this letter, try to reach your customer again through phone or email. 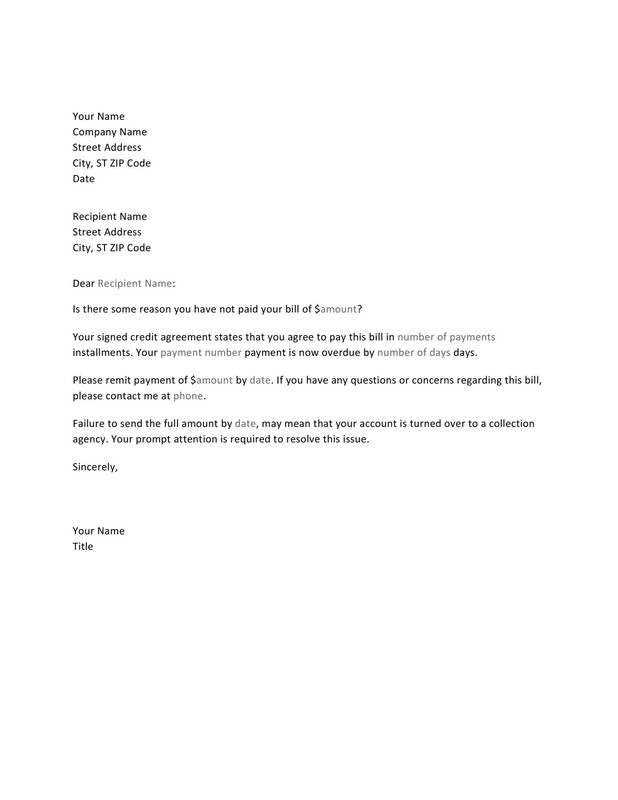 Ask if the customer received the first letter and if he would already want to make the payment. 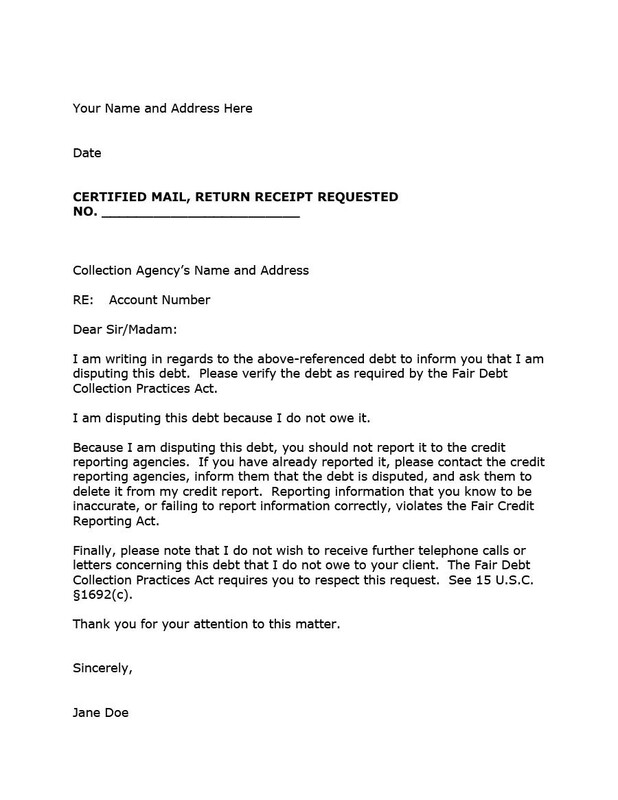 If your attempts prove unsuccessful, it’s time to send the second debt collection letter. 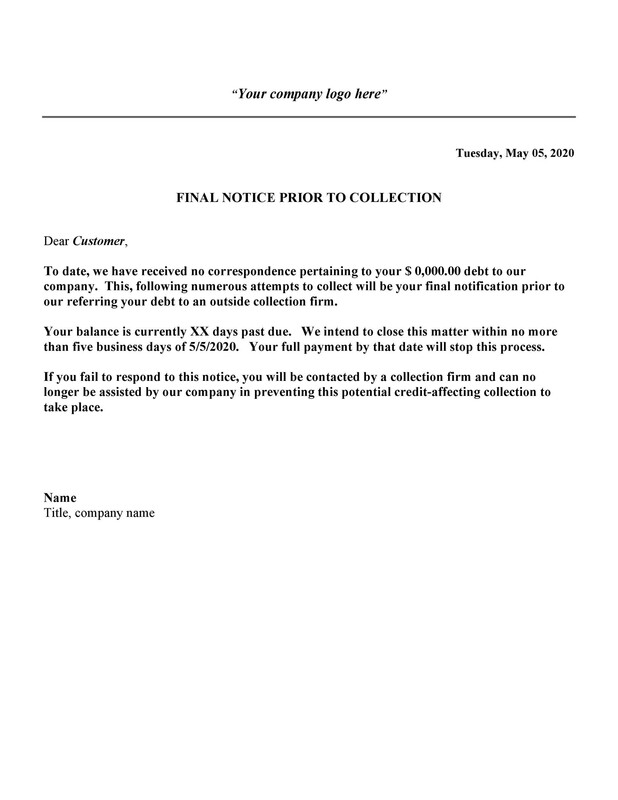 The main difference between this letter and the first one is that you will indicate that you’ve tried to reach your customer through the first collection letter. 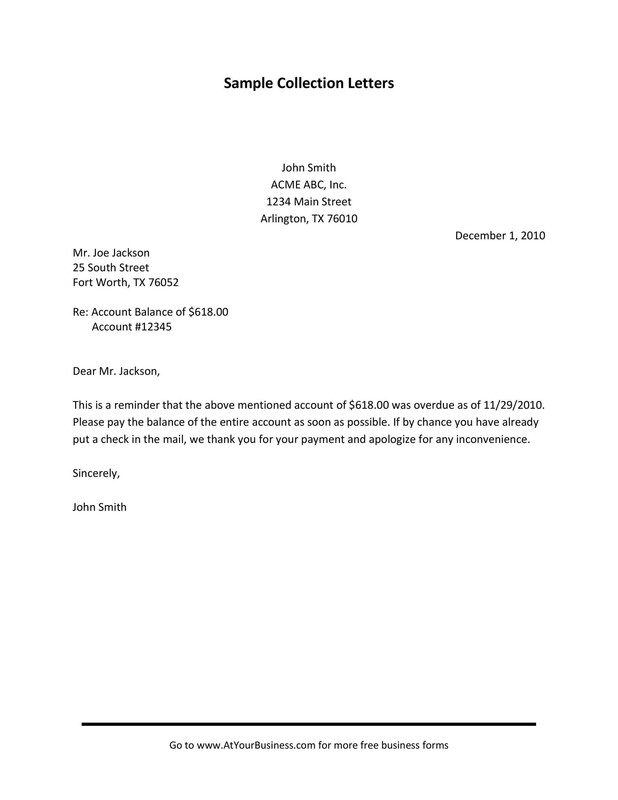 Again, print the letter on your company’s letterhead which includes your business mailing address and logo. 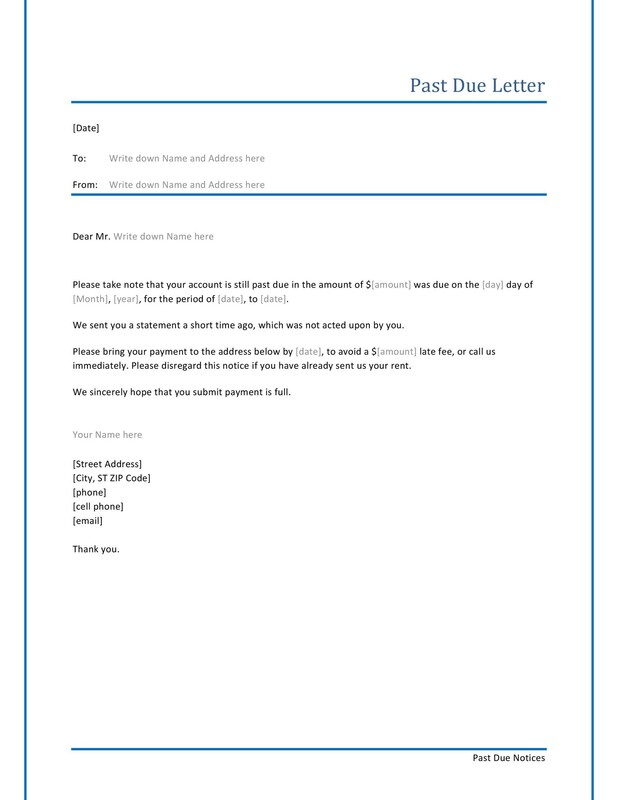 After sending the second letter and some time has passed, try to give your customer a call. 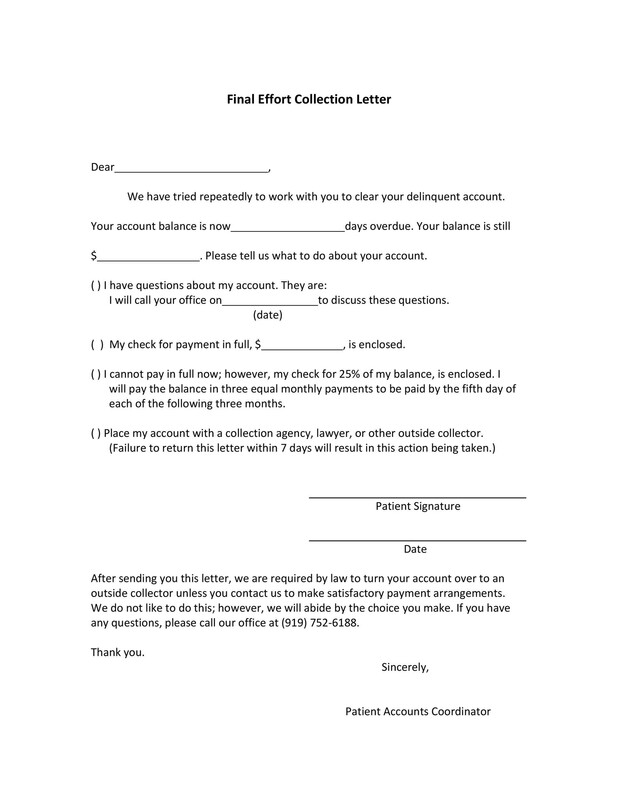 However, if you’re not able to reach the customer and he hasn’t tried to communicate with you for weeks, it’s time to send the third collection letter template. Just like with the second letter, indicate that you’ve tried to open communication with the customer through the first two letters. Also, explain how you’ve tried reaching the customer through the phone but without success. It’s also recommended to send this letter via certified mail. 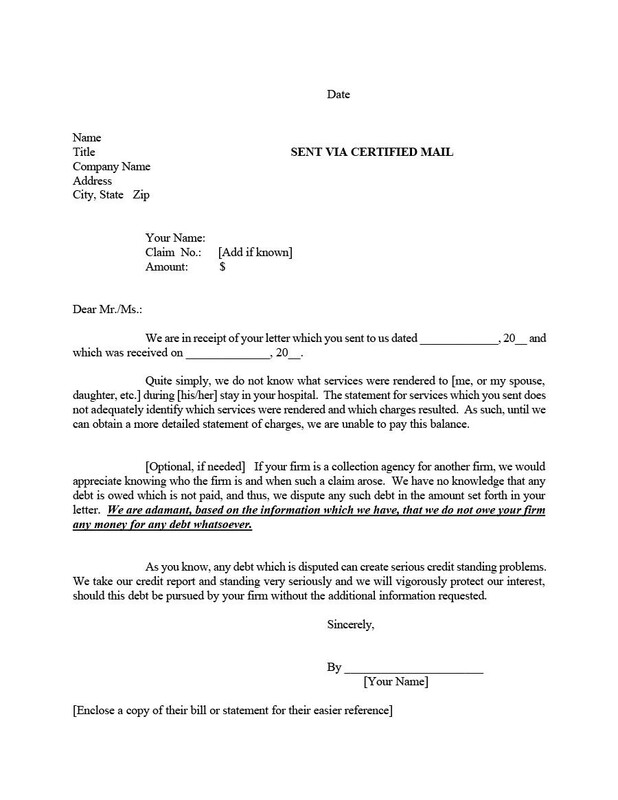 The good thing about certified mail is that upon receipt, the customer will have to sign for it. 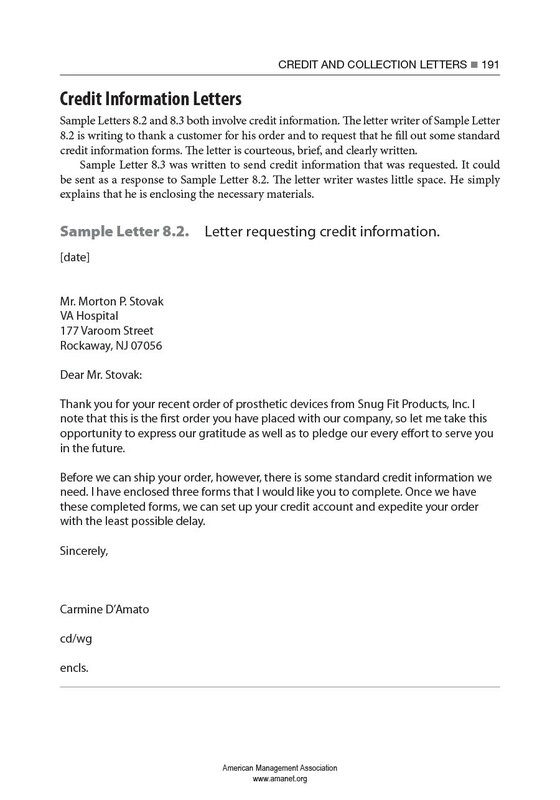 So, you would have proof that the customer received the letter. 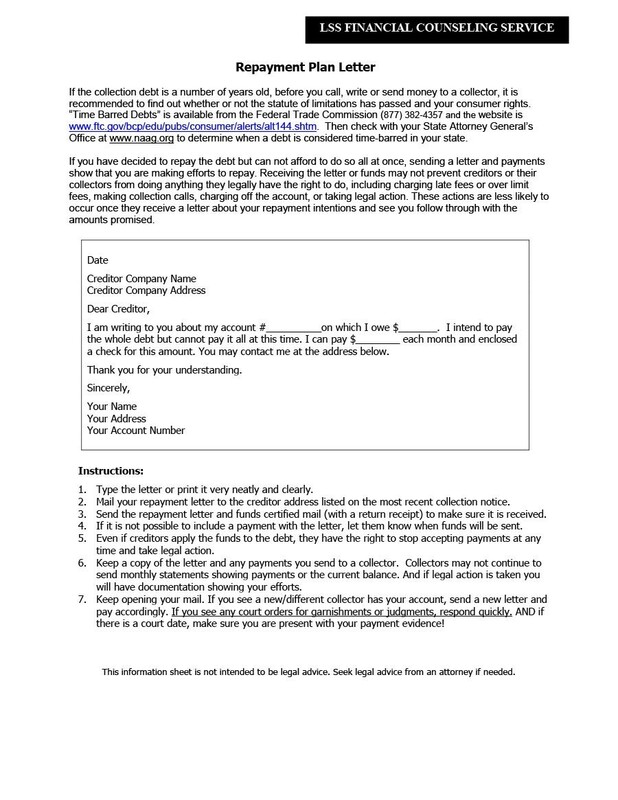 Such a letter is an essential piece of documentation in case you decide to take legal action against the customer. 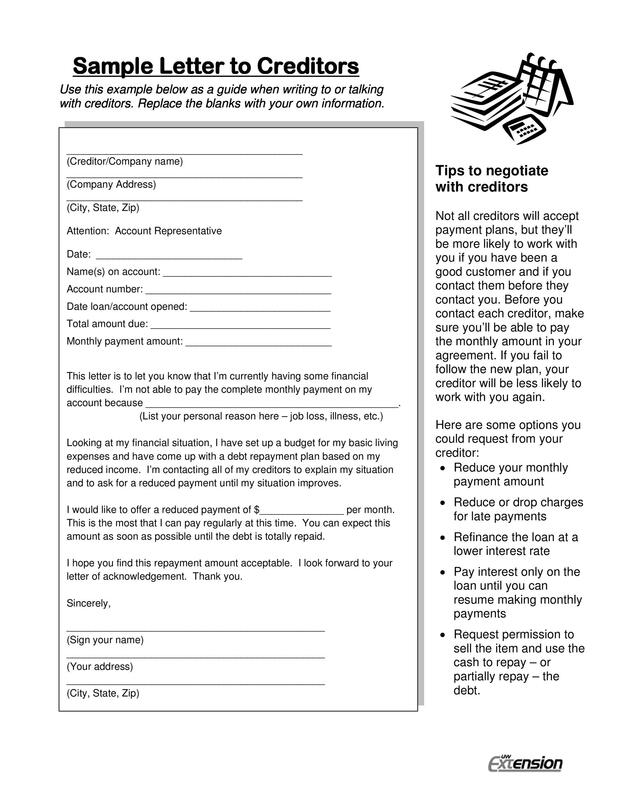 Most of the time, if you’ve reached the point when you already need to send this letter, it means that the customer either isn’t able or isn’t willing to pay what he owes. In this letter, you may have to use more assertive language while still remaining professional. Just as with the third letter, it’s best to send this fourth one through certified mail. 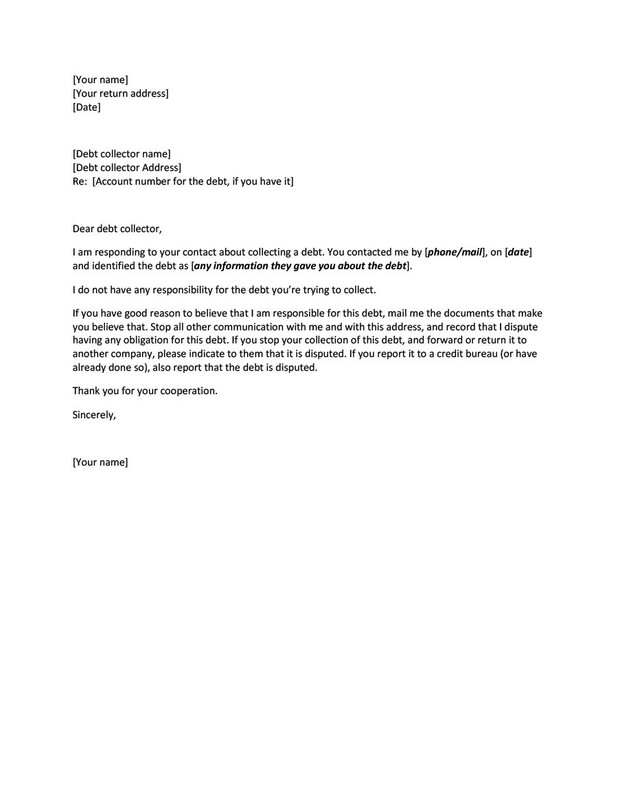 Objective: The primary objective of writing this type of letter is to inform the customer that they owe a debt and they’re expected to pay before the deadline. 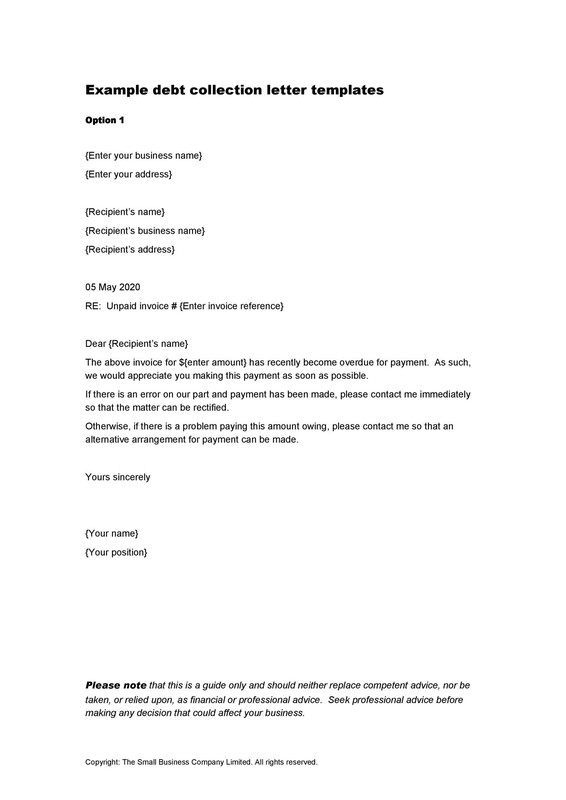 A reference to the previous letter: When composing the second, third, and fourth letters, they should indicate a reference to the previous letter which you have sent to the customer. A warning for legal action: This applies to the fourth letter. 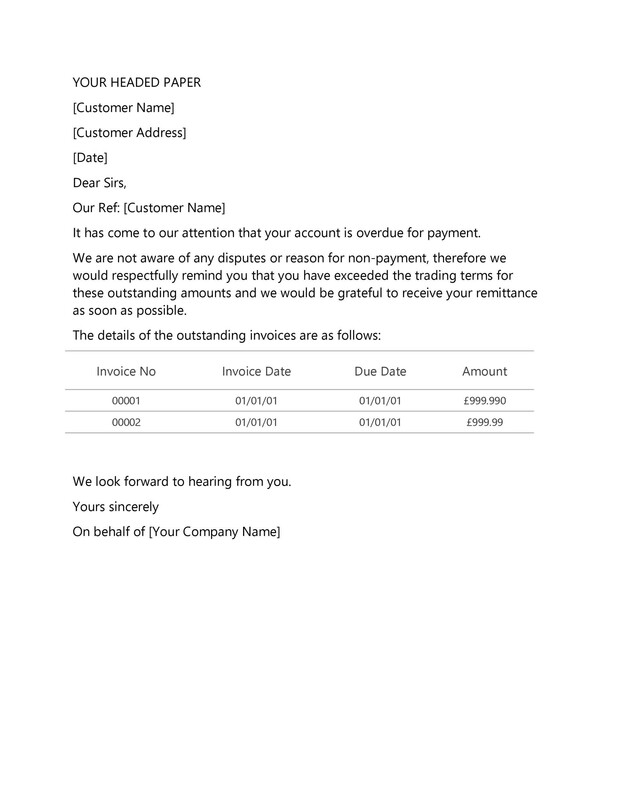 After the customer ignores the first three letters and hasn’t given the payment yet, the last one would have a warning informing the customer that if he still doesn’t respond or make the payment, you will take legal action against him. 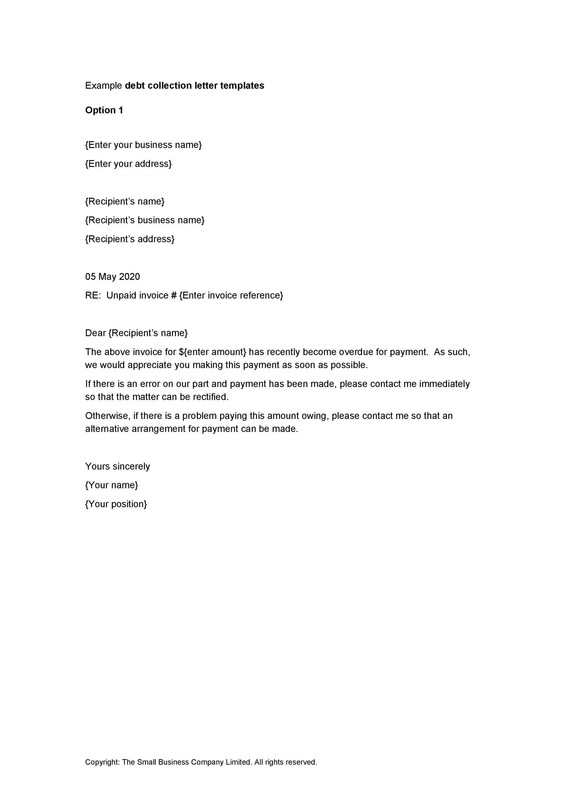 The included parties: Usually, the parties included in this letter are the buyer and the seller. The latter would compose the letter and send it to the former for the collection of dues. The commanding principle: This refers to the collection of payment by keeping the clients with the company. Your choice of language: It’s important to use a straightforward, effective, friendly, and professional language to convey your message. 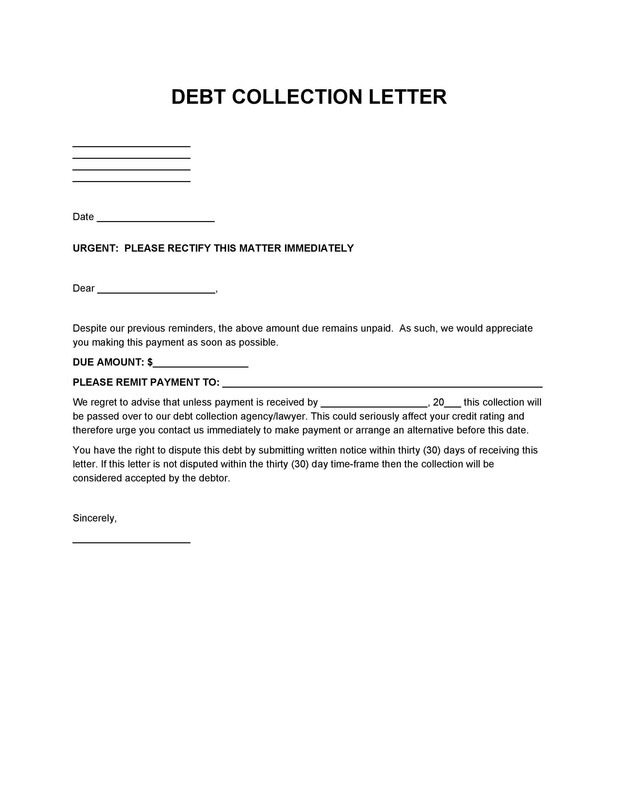 Creditors may need to compose a collection or past due letter template to their debtors who haven’t made timely payments. When someone owes a debt to a creditor or a seller, they would have a specific period of time to pay those dues. 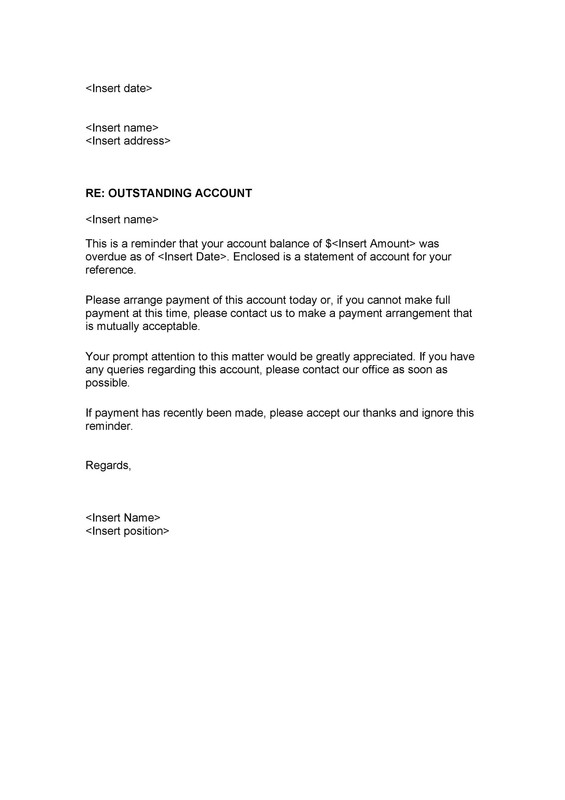 If the person isn’t able to make the payment on time, the creditor would have to remind them. 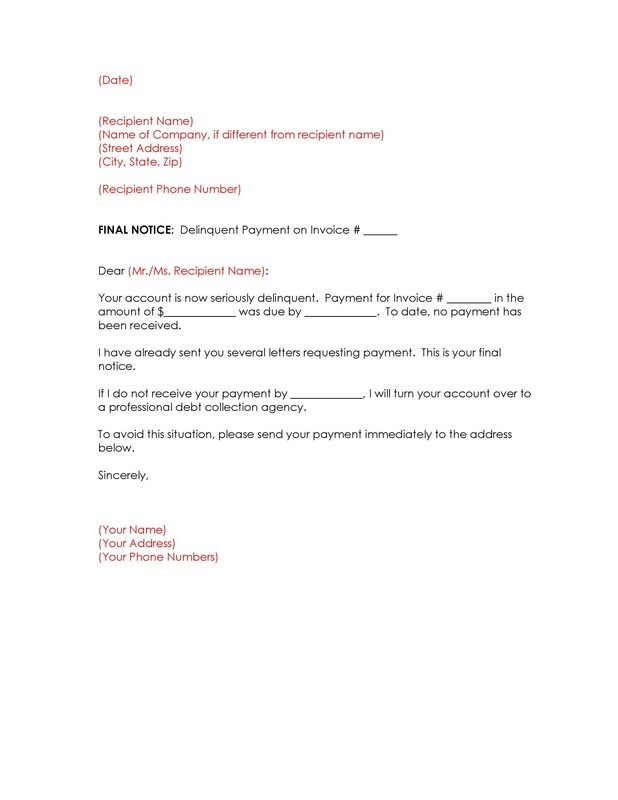 Usually, they would try to reach out to the debtor through email or by telephone. 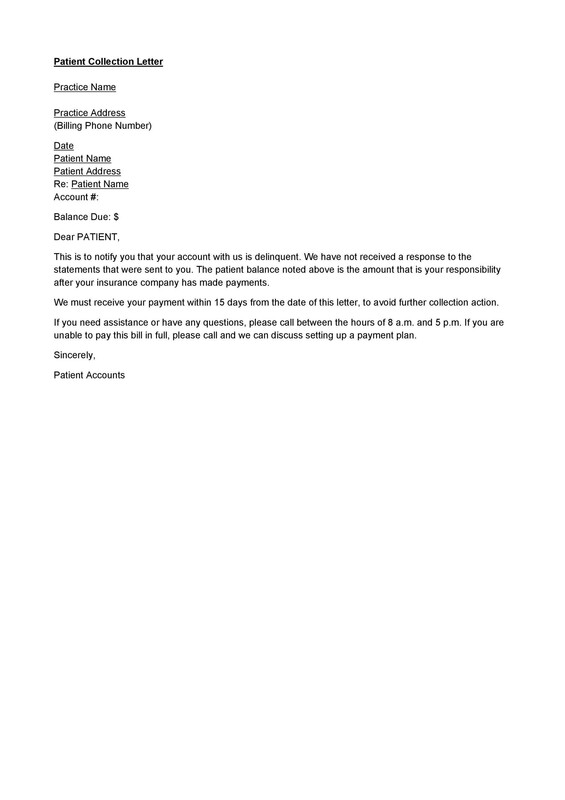 But if that proves unsuccessful, the need for writing a collection letter template arises. 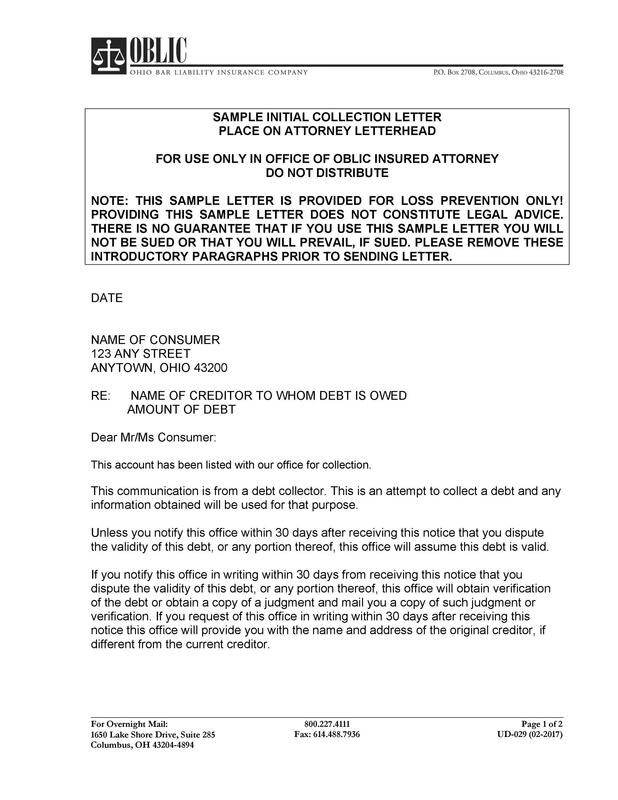 A collection letter can also be very useful for the purpose of collecting refunded money on defective or damaged products. In such a case, the customer would write the letter to the merchant, give all the details about the product, and as for his money back. Financial matters have a very sensitive nature. Therefore, when you have to remind someone that he wasn’t able to make a payment or meet a financial commitment, choose your words carefully. 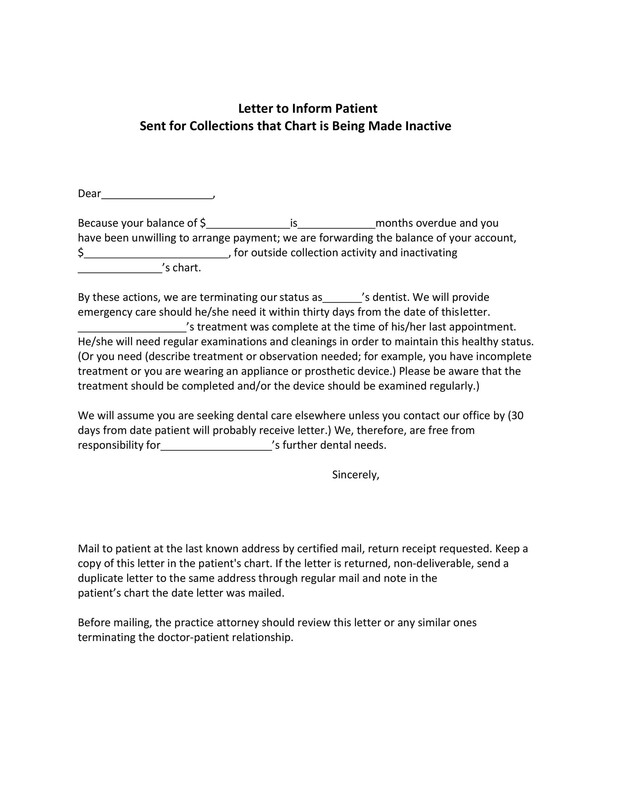 Practicing tact and restraint will go a long way in terms of how the recipient will accept the message of your letter. Only stick to the facts and inform the recipient of what he owes. Do this rather than allowing your emotions to get the best of you and writing statements in the letter that might get you into a lot of trouble. 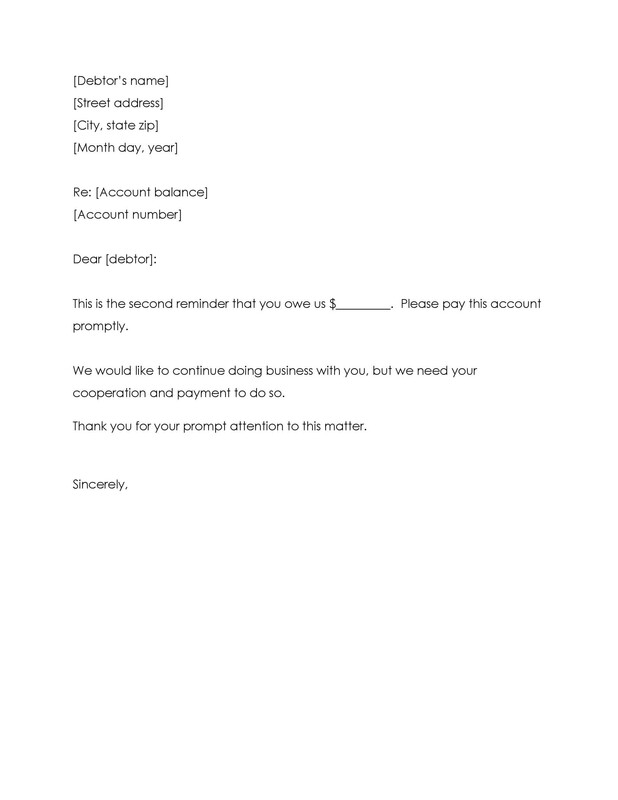 This tip applies to any kind of formal or business letter. Remember that a letter is a written document so if you use harsh or disrespectful language, the customer can use this against you. Also, using hurtful words might push the customer further away. When this happens, he might choose to ignore you instead of fulfilling his financial obligations. In some cases, you may find out that your customer isn’t able to make the payment because he’s caught in a financial issue. Much as he would like to pay, he doesn’t have the money to do so. Upon finding this out, you should reflect your understanding in the letter. 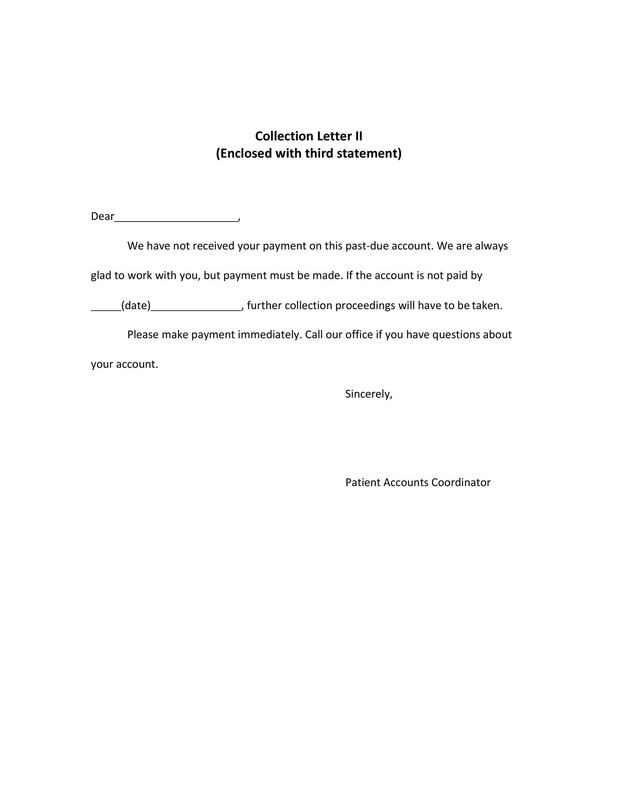 Show some sensitivity both in writing your letter and in approaching the overall collection process. The first letter serves as a formal reminder with a mild tone. 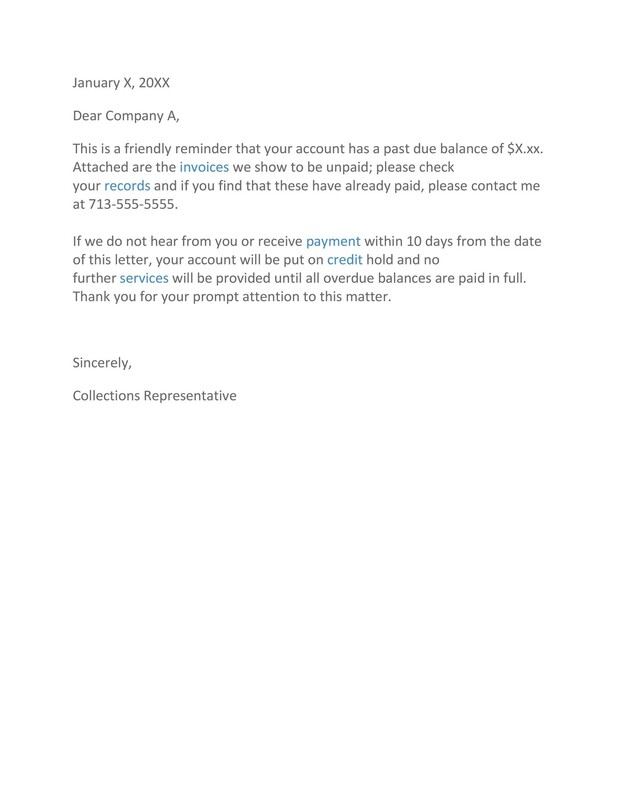 The second letter serves as a firmer, more persuasive tone. 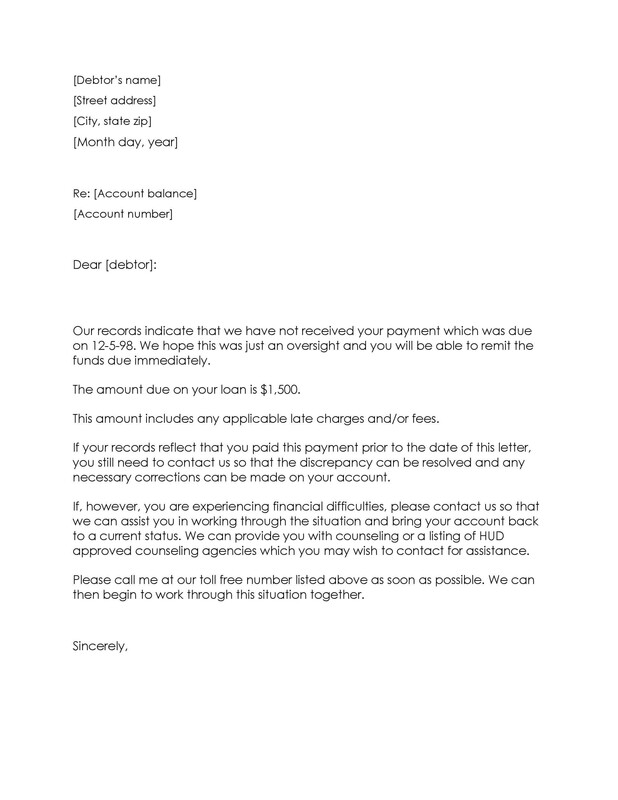 In this letter, stress the need to make the payment as soon as possible. 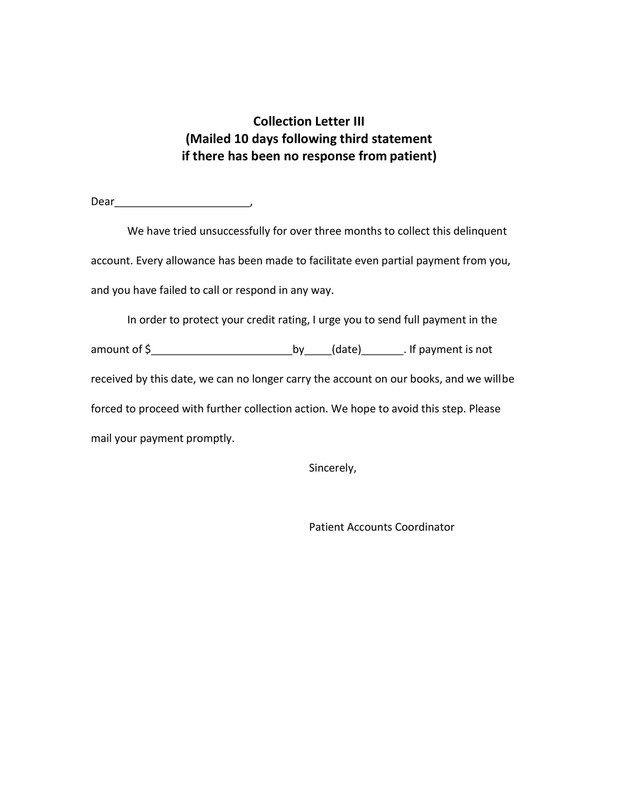 The third letter serves as an assertive reminder of the customer’s obligation and it would have a more formal tone. 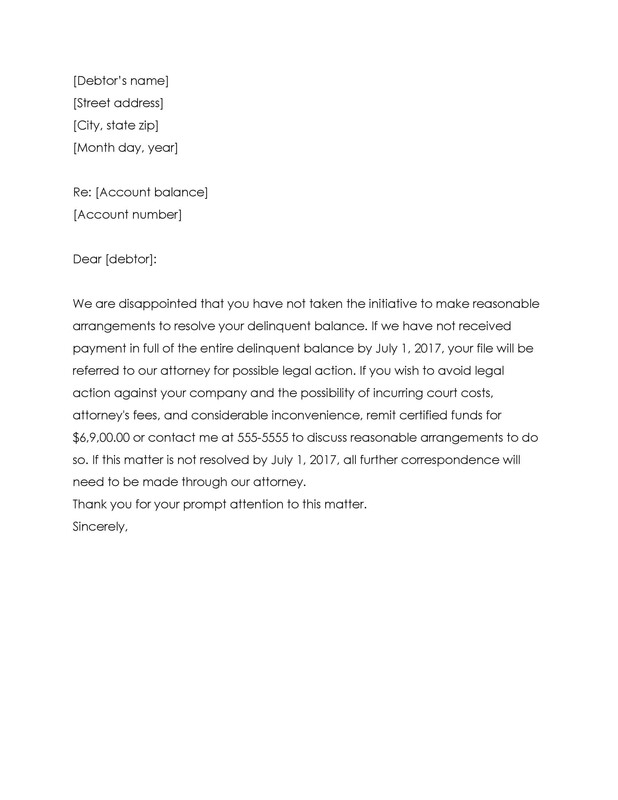 The fourth letter is the “last resort” wherein you would inform the customer that if he doesn’t pay on time, you will already take legal action against him. Try to reach out to the customer first before sending the first letter. Always use a formal and firm tone for the letter. Never use harsh language in your letter. Also, never harass your customers no matter how frustrated you get. 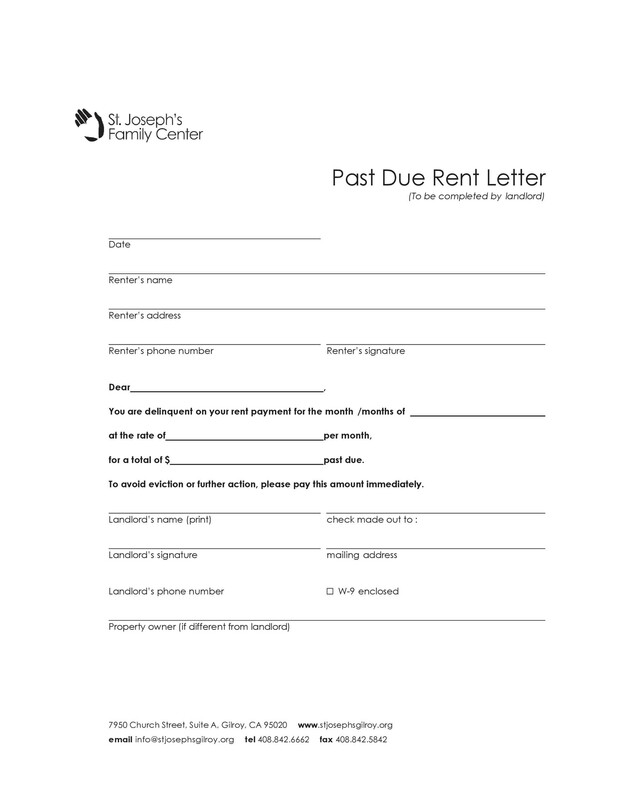 Include the amount that the debtor owes as well as the payment due date. 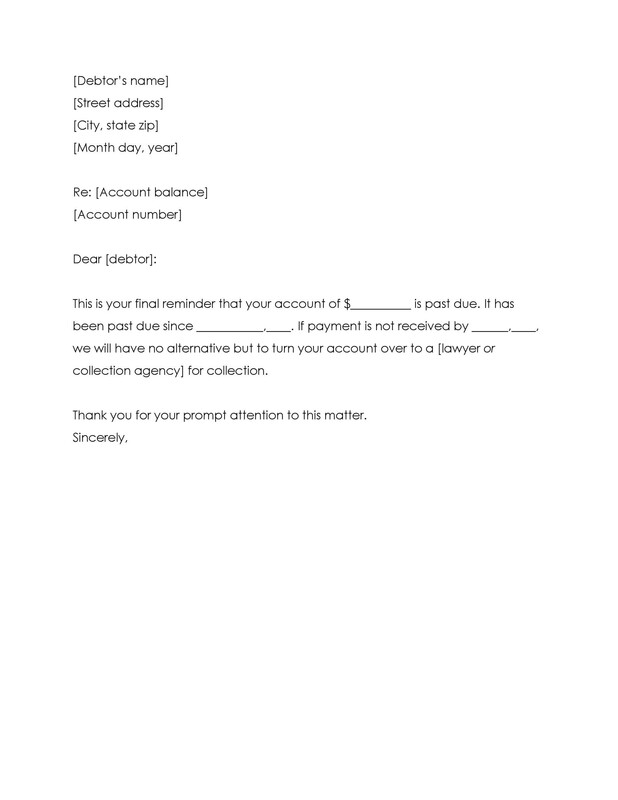 When setting a deadline, give the debtor some time to arrange and prepare his funds for payment. Include different payment methods such as cash, debit card, credit card or check. 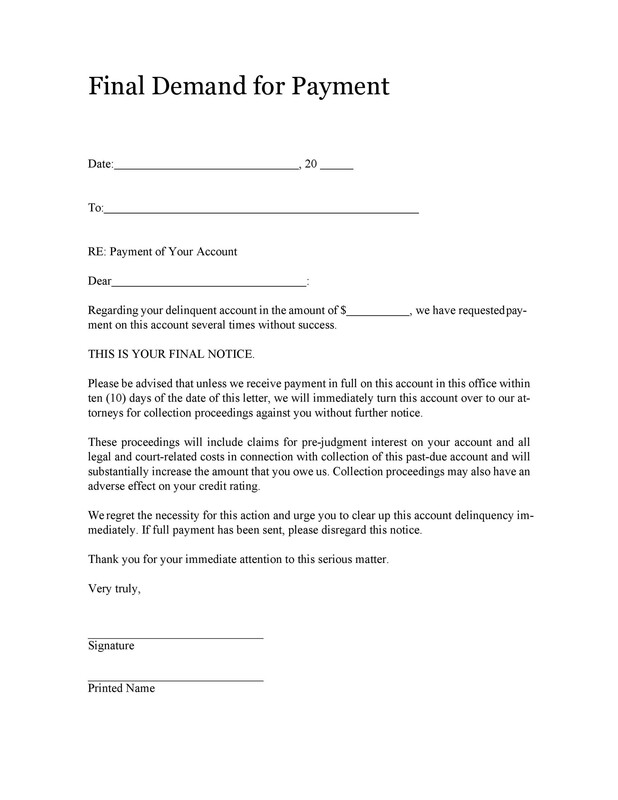 Mention the consequences the debtor might have to deal with if he refuses to pay after the last deadline you set. Include your current contact information such as your mailing address, email address, and contact number. 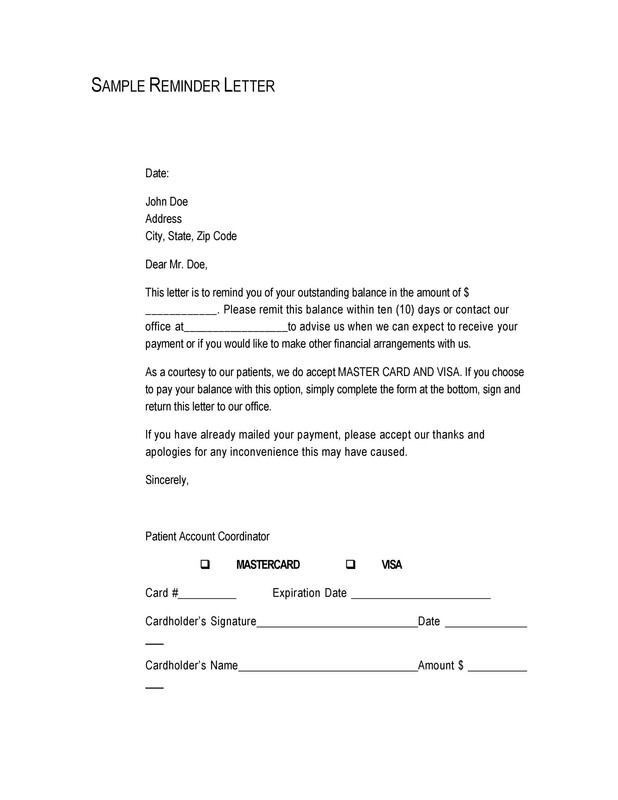 You may also want to include a post-paid envelope so your customer can send his reply easily. Before sending your letter, proofread it to check for any grammatical or spelling mistakes. 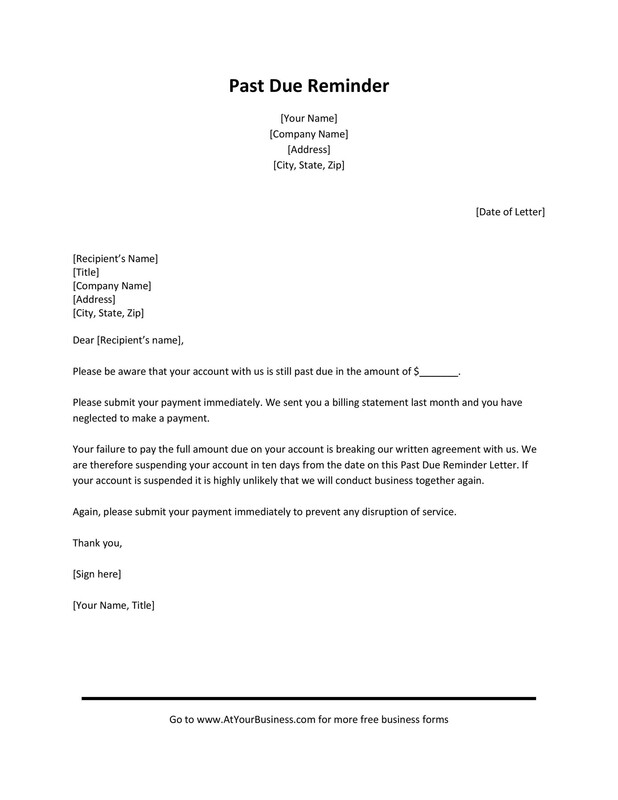 Rather than handwriting the letter, type it and print it on your company letterhead. 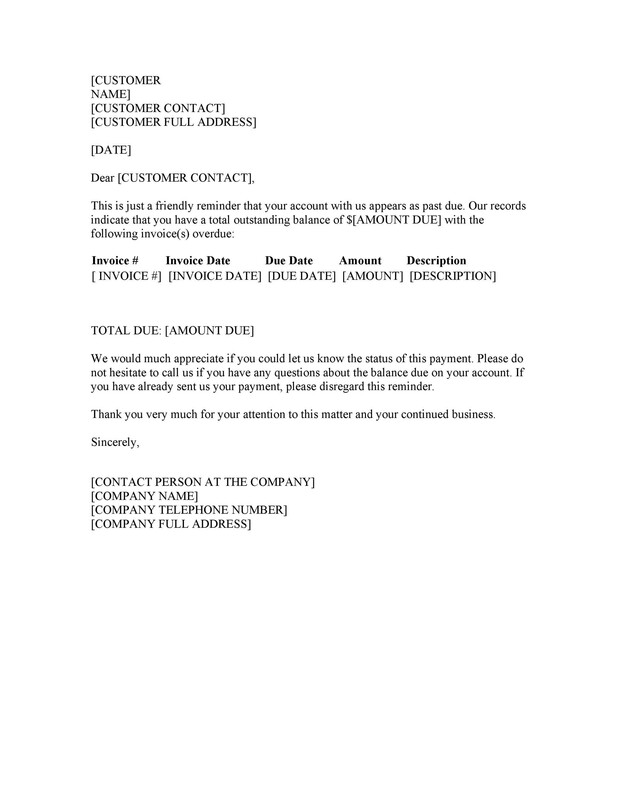 Attach a copy of a summarized financial statement which shows the customers pending payments.